When I first joined Boston University as an economics major, I didn’t think my curriculum would deviate too much from the traditional macroeconomics classes and the preset business school syllabus. However, the College of Arts and Sciences’ focus on integrating divisional studies and liberal arts into every student’s four years at BU ensured that I took up classes like London Architecture and Urbanism during my semester abroad. For my senior year, however, I decided to really step out of the box during my humanities course hunt, and as a result, I’m currently enrolled in a death and immortality class for my final divisional studies requirement. Therefore, when I read that Laundry Bear Games released an interactive indie game called “A Mortician’s Tale” my reaction wasn’t what it would’ve been before I took up the aforementioned humanities class. “A Mortician’s Tale” aims to eliminate the stigma attached to the primitive experience of death. 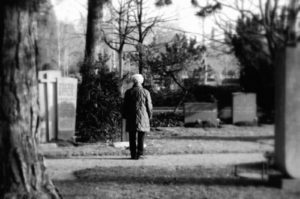 Whether it be through the death of a loved one or through a near-death experience, almost everyone in this world has come face to face with the concept of death. Death is all around us and yet many people feel awkward discussing the grief and pain associated with death. “A Mortician’s Tale” addresses this issue by obliging the user to form a relationship with the routine tasks of a mortician. The player must partake in the work at a funeral home by going through emails of mourning families, explaining how the mortician must prepare the bodies of the deceased. Logically, the next step is carry out all of these instructions. Now I won’t go into the details, but the game speaks to a truth that many other media outlets fail to do: death is a mundane fact of life. It’s as common as you can get. This in no way negates the turmoil one undergoes when faced with the reality of death, but given the fact, the discomfort associated with talking about death is surprising. Certainly, the game is not made for everyone. It might be too disturbing or too gruesome, but essentially the game offers you a safe space to go through a mortician’s profession of dealing with death, without any false pretenses. A mortician’s job is rarely, if ever, discussed, and we forget that it is an essential job to making a dead body presentable. In fact, some may find comfort in the game — you witness funeral goers finding peace after the proper burial of their loved ones. My viewpoints on the game might seem a bit too liberal, but studying death and immortality has been a great outlet towards understanding death on a personal level. The class teaches that death is a common link among all religions, and while the religions have different analyses of death and the afterlife, they all preach that no one can run away from death. Now I’m not suggesting that everyone download and play the game instantly, but I can attest to the usefulness of a class like death and immortality towards getting rid of the morbidity associated with death.